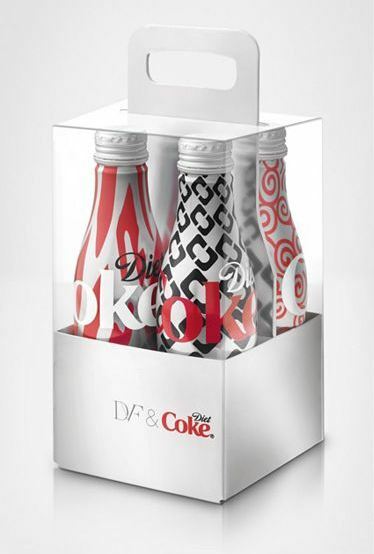 Coca-Cola has teamed with Diane Von Furstenberg to offer customers a limited-edition collection of aluminum bottles splashed with her signature prints in red and black. The bottle will be available at select DVF boutiques throughout February ($30 for a set of four). This signature eye-catching collection will see 100 percent of proceeds go to the Foundation for the National Institutes of Health (FNIH) in support of The Heart Truth program for women’s heart health research. #The Official Way To Drink in Style!